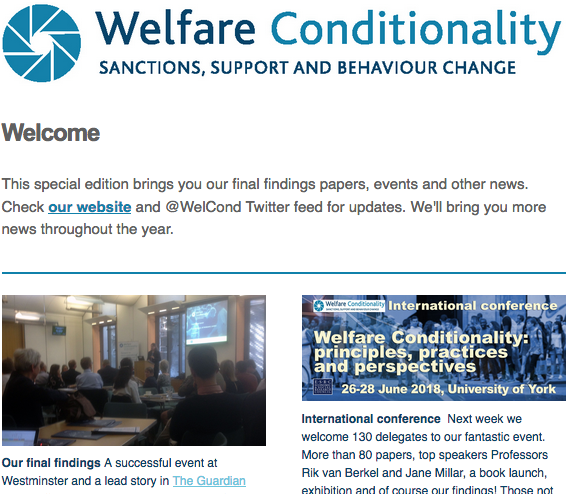 Our project gave evidence in March 2016 to the SSAC’s consultation on the important issue of decision making and mandatory reconsideration in the welfare benefits system, which has now reported. A number of respondents in our study who had been sanctioned and took action to initiate mandatory reconsideration or appeal found the process complex, time-consuming, lengthy and costly. Because of these factors the majority did not pursue a mandatory reconsideration or appeal.